While temperatures in Texas are not even close to cooling down, other parts of the United States the much anticipated crispy fall weather is starting to nip noses and call for sweaters. 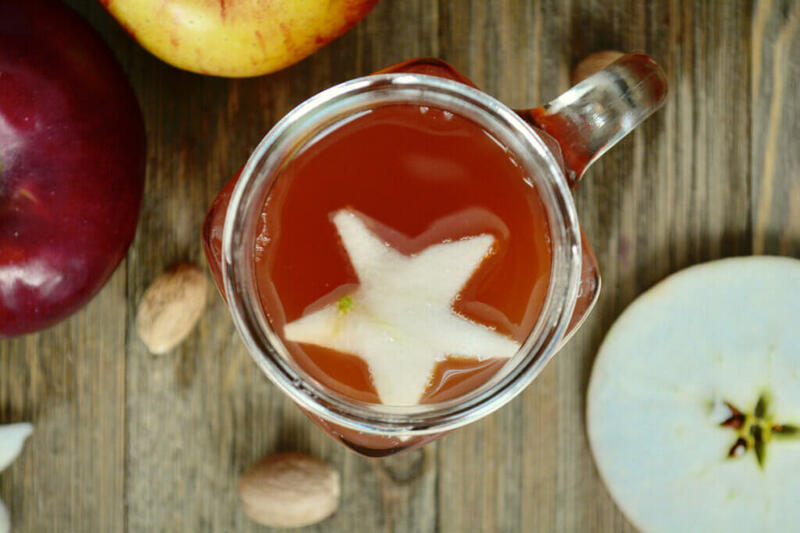 Apples are an absolute star in the fall with sweet, deep flavors you don’t get any other time of the year. 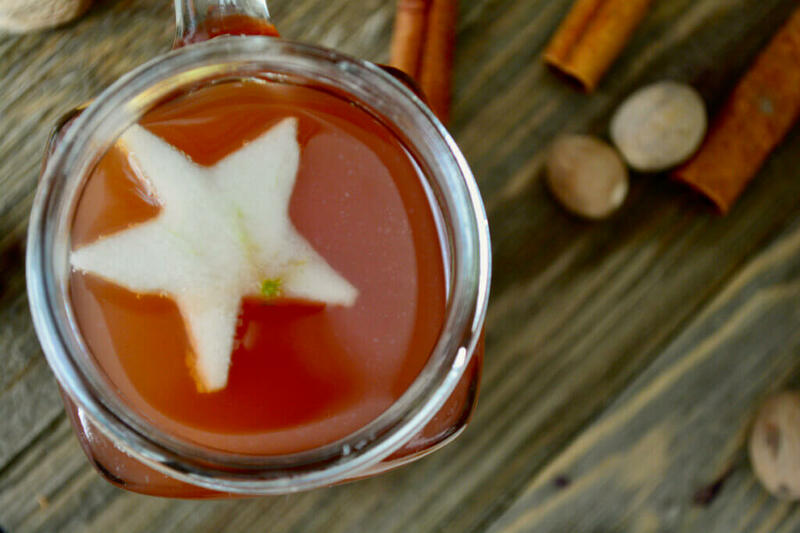 That means it is time for apple cider. 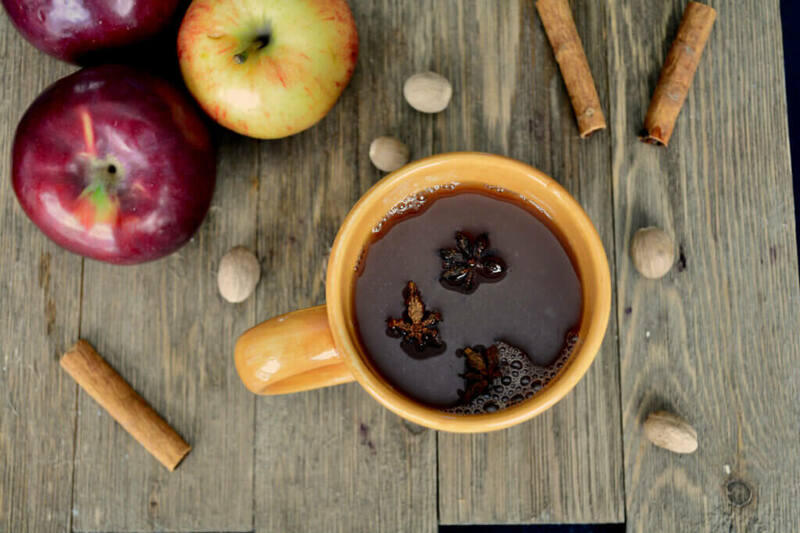 Without any adjustments apple cider is naturally a food perfect for the renal diet. We made our cider from scratch but I always grew up with buying a big jug and letting it warm on the stove with whole spices. Before making this I did a little reading on ciders. Found out that type of apple (sweet versus tangy) makes a difference. This is pretty obvious of course. I went ahead and used a mixture of some great tangy fall apples like Empire and Granny Smith with several Gala apples (which were on sale for $0.97/lb). I then used the recipe from Lifeispoppin.com as a guide, except I cut the sugar back a little. 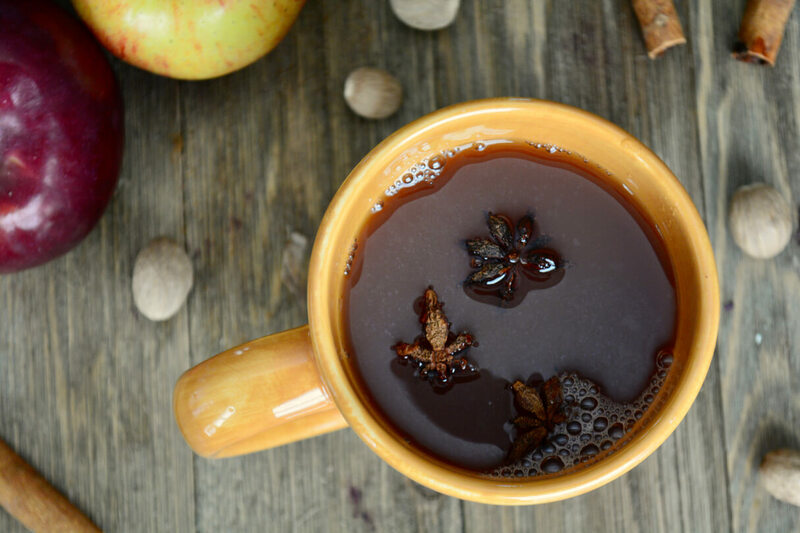 I love that we didn’t need to any modifications to this recipe to make apple cider renal friendly. Technically, I consider high potassium foods >250 mg of potassium so this is right. on. the. edge. You could reduce potassium by adding a little bit more water to your mixture. I found it hard to drink too much of this though because of the wonderful depth of spices. Place apples in a large stockpot and add enough water cover by at least 2 inches. Stir in sugar, cinnamon, and allspice. Bring to a boil. Boil, uncovered, for 1 hour. Cover pot, reduce heat, and simmer for 2 hours. I used my pressure cooker because I was short on time and I think I had it at pressure for about 20 minutes. Strain apple mixture though a fine mesh sieve. Discard solids. Drain cider again though a cheesecloth lined sieve. Refrigerate until cold. You can reduce sugar further and add a little zip with more spices.